RJ Burglar Alarms Ltd are a dependable and trustworthy family run company. Our friendly experienced engineers are highly skilled and have over 15 years experience installing,repairing and servicing all different types of alarm systems from modern day wireless systems to old discontinued wired alarm systems. As local traders we care deeply about the quality of our products and installations to ensure we have satisfied,supported our customers. That’s why we offer 24 hour support and having engineers available at all times for our existing customers as well as new customers even if we did not fit your existing alarm system we can be there 24/7 for emergency call outs,we believe this sets us apart from other alarm company’s. Being a small business we are able to keep our costs lower than many of our larger competitors whilst not compromising on quality. We are proud members of Checkatrade. We are also platinum Visonic installers and are members of the local Rated tradesmen directories. We support our local community by sponsoring Brads Coaching Academy. Brads Coaching Academy offers footballing opportunities for males and females from the age of 7 and above. 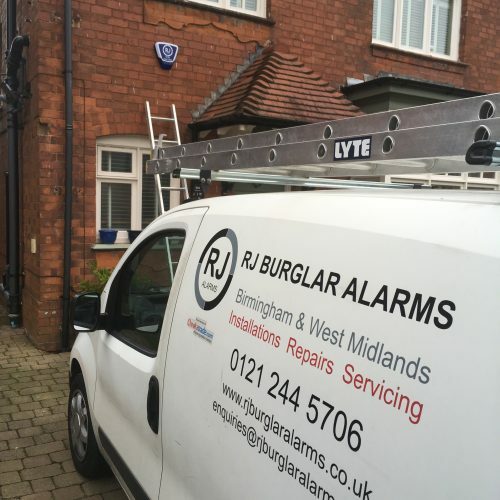 Outstanding service from start to finish from RJ Burglar Alarms Ltd. From the very first phone call regarding the pricing of the new alarm, Richard provided an exemplary, personalised service, offering a new alarm at an affordable price with great additional benefits like added equipment and annual service programmes. The set up was completed efficiently with a superb explanation of the equipment and how it all works! Richard even came back a few days later to fit an auto dial feature, after this could not be completed on the original set up day due to my own phone line issues. I would highly recommend RJ Burglar Alarms for any alarm security needs. Thank you again guys!